This is a sponsored post written by me for the New Jersey Lottery. All opinions are mine alone. You must be 18 or older to buy a lottery ticket. The New Jersey Lottery reminds players, it’s only a game…remember to play responsibly. If you or someone you know has a gambling problem, call 1800-GAMBLER®. The holiday season is full of so much fun and excitement- it’s easily my favorite time of the year. This year, I am hosting a Christmas party at my house so I wanted to make something decorative & festive for our celebration. I decided to take some wooden boards & chicken wire and build a rustic Chicken Wire Frame. 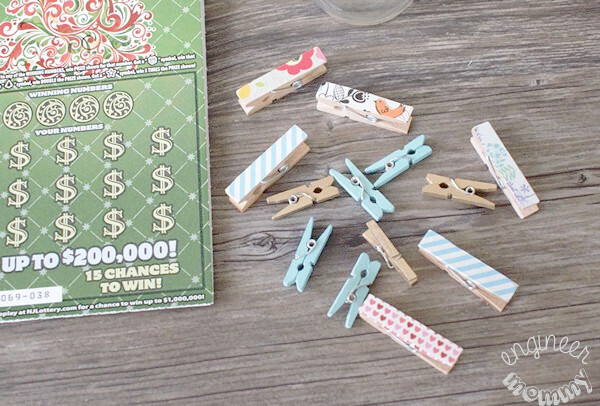 I am attaching some New Jersey Lottery holiday games to the frame with the cutest mini clothespins. Not only is this frame perfect in our family room as holiday decor, but it’s also a versatile piece that can be re-purposed in so many ways throughout the year. 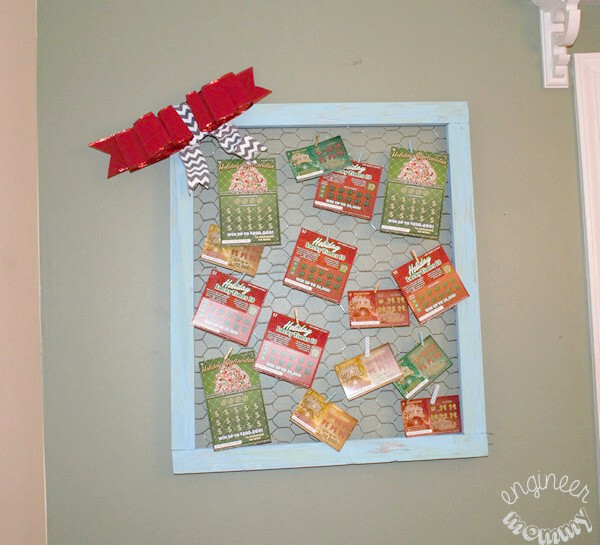 DIY Chicken Wire Frame w/ NJ Lottery Games. 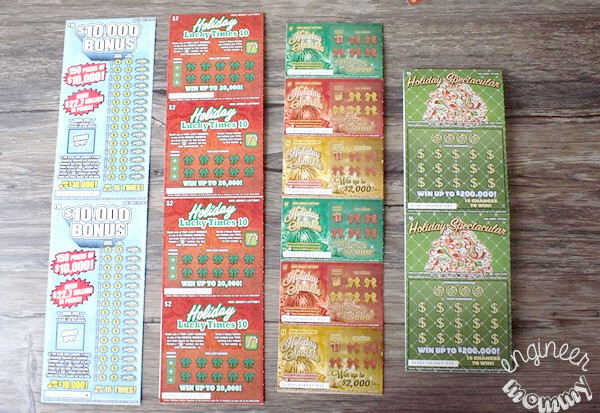 On the frame you will see four new New Jersey Lottery Holiday Instant Games: $1 Holiday Sparkle, $2 Holiday Luck Times 10, $5 Holiday Spectacular, and $10 $10,000 Bonus. I love that these games are so much fun to give or receive. They truly make the perfect gift for so many people (over the age of 18) on my shopping list this year. In fact, lottery games offer both the thoughtfulness of a wrapped present and the excitement of a potential cash payout. After all, scratching off an instant game is thrilling! 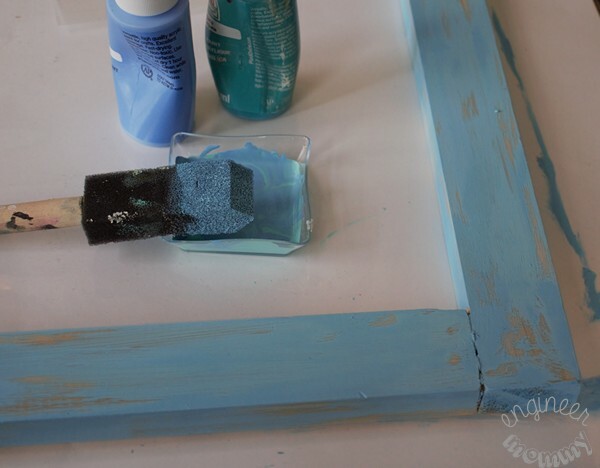 Want to make your own frame? Start off with four wooden 1″x2″s that are each 21″ long. If you don’t own a saw at home, simply have the home improvement center cut your wood to size. 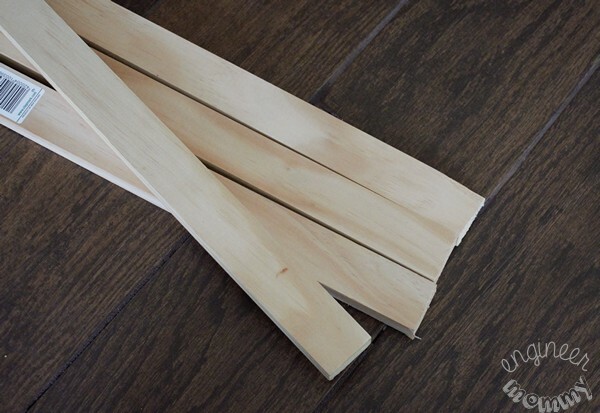 To assemble the frame, simply set up the pieces of wood as in the following picture. 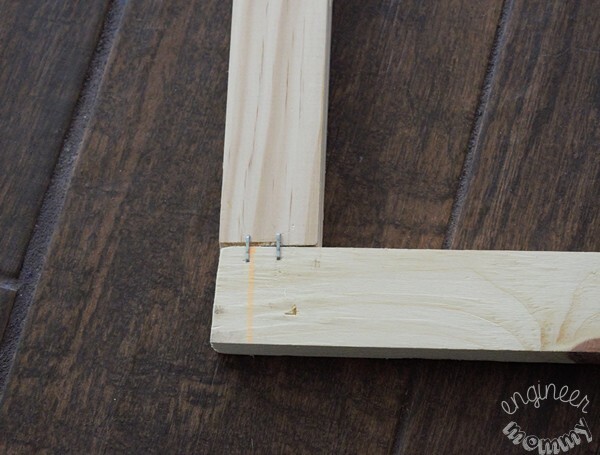 You could make miter cuts for the corners, but I actually prefer the rustic look of these simple joints. To adhere the wood together, I used a generous amount of wood glue and clamped it all together overnight. The next morning, I used staples to reinforce the frame joints. To add some color to the frame, I mixed two shades of blue acrylic paint I had lying around. I brushed it on very lightly, intentionally leaving some areas bare. I like the unfinished, worn look of this. It gives the piece a more aged look and fits my decor better. While the paint is drying, begin unrolling the chicken wire. Look for chicken wire at your local home improvement store. 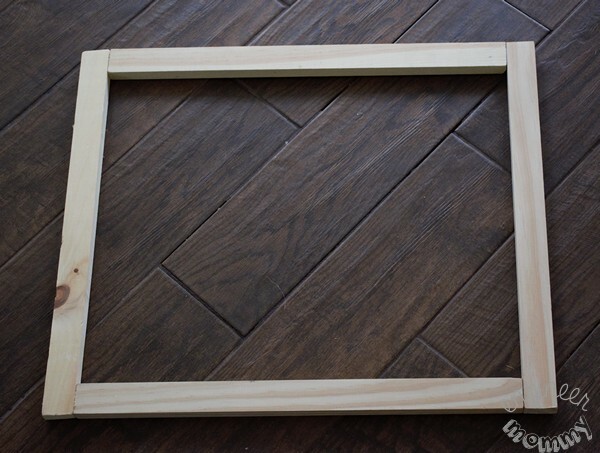 I simply cut it to the size of the picture frame and stapled it in place on the back of the frame. I used two different types of ribbon to make a big bow. I used red velvet one to create the folds for the bow and a gray-and-white chevron one to make the hanging pieces. I used hot glue to attach the bow to the top-left corner of the frame. To add some color & whimsy to my frame, I gathered my collection of NJ Lotto tickets, which were provided by the New Jersey Lottery. I will be hanging them directly on the chicken wire using these adorably small clothespins. By putting the bow at the top-left of this frame, it almost makes the whole piece look like a Christmas present. I am really pleased by how this project turned out. 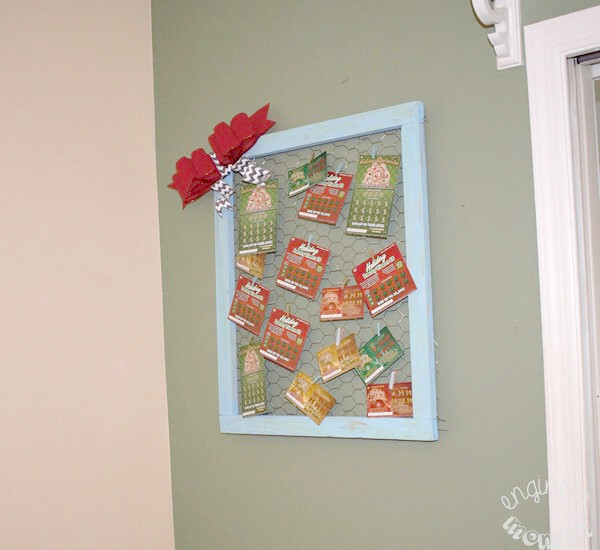 This frame was a fun, easy project that adds a festive touch to our holiday decor! 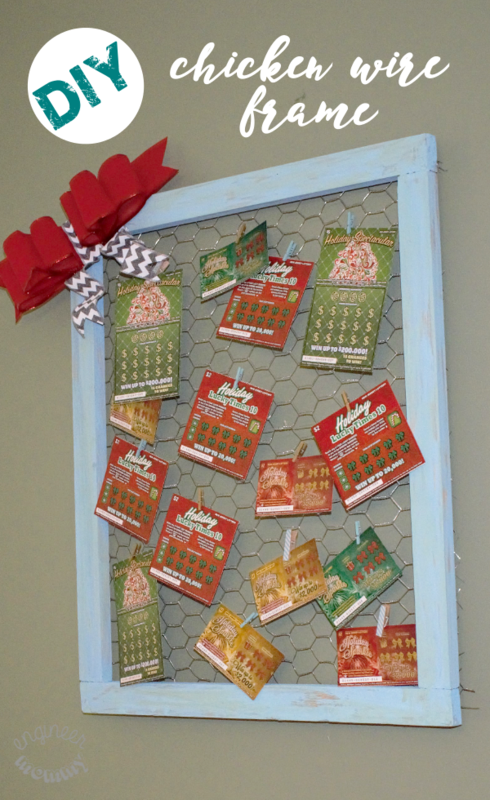 Keep in mind the frame can be used to display lotto tickets, greeting cards, photos and more – it’s so versatile. Here is the frame hanging on the wall. I am so happy with how it turned out that I am considering making another one! 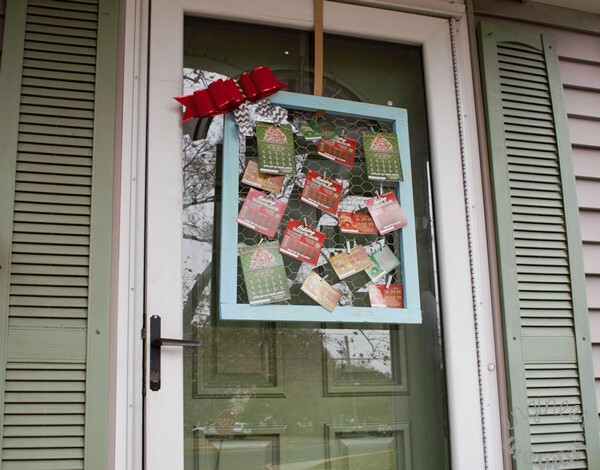 My frame features a number of different NJ Lottery holiday-themed instant games. They make a fabulous stocking stuffer for anyone over the age of 18. Look for these holiday-themed tickets at any brick and mortar lottery retailer. My husband and I often pick up our tickets at a local Wawa store. One of my favorite aspects of this frame is its versatility. Once the holidays are over, I can peel off the bow and use the chicken wire to hang pictures, notes, reminders, postcards, etc. As I mentioned earlier, I am hosting Christmas at our house this year and I have an exciting way to incorporate the frame into the day’s festivities. On Christmas Day, I will hang this frame on our exterior door (from the wreath hanger) and encourage my guests to take a lotto ticket as they arrive to my house. Isn’t that a fun idea? These Holiday Instant games make gift-giving simple and stress-free. Everyone loves a lotto ticket! If I won the lottery, I would probably take the whole family on a 6-month-long vacation around the world. Want to play an instant game this year? 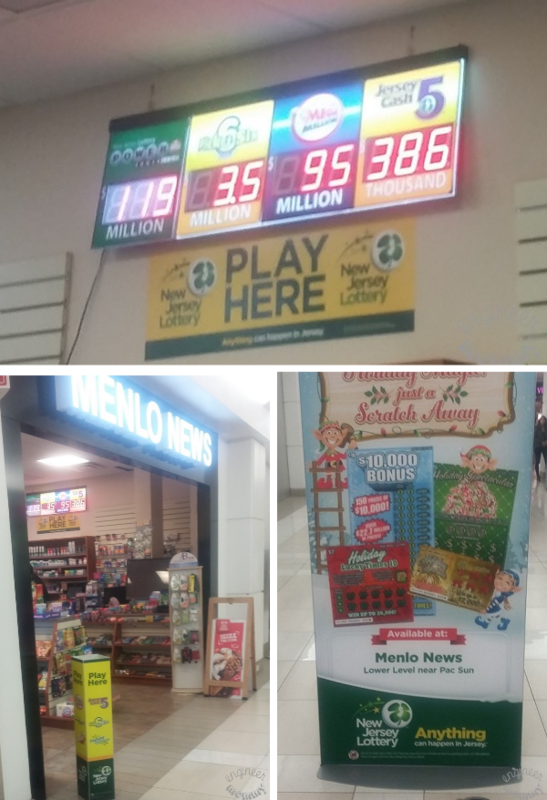 Look for NJ Lottery holiday tickets at your local mall or newsstand. Also, keep an eye out for Million Dollar Replay, which is a second-chance drawing program that lets players submit a non-winning instant ticket into a yearly drawing for $1,000,000! For more information visit New Jersey Lottery. 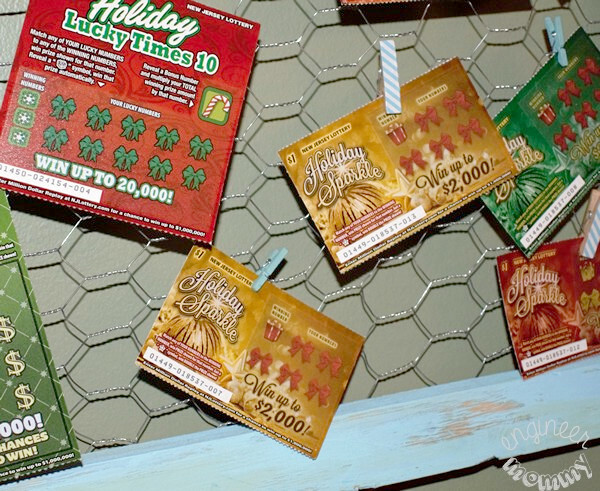 Have you ever used N.J. Lottery tickets in your holiday decor? Do you love to play the lotto? 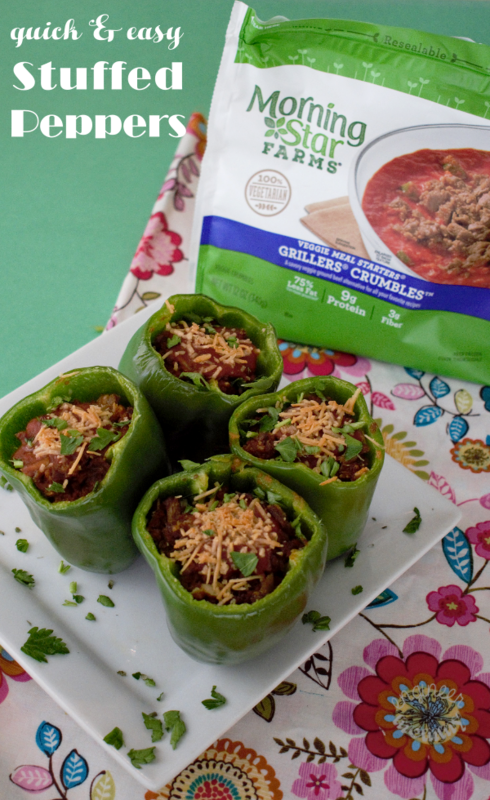 Will you be hosting any parties this season? What a cute idea! I have seen something similar in our local small business crafty shops. I would love to win the lottery..First thing I’d do is pay off our home, cars, and credit cards…and then head to Europe! THis is such a a brilliant idea! I absolutely adore this so much. I really love how simple yet how elegant it turned out. If I won the lottery, I’d take my family on a mini vacation. We’ve had such an awful year and we had to cut our vacation short due to a family illness. We never really stopped…so I’d like to take a moment to just get away and breathe as a family. I love this idea! I need to start playing the lottery more often. I might get lucky! I would never have thought of using chicken wire for something like this but what a great idea, I hope your guests win big! 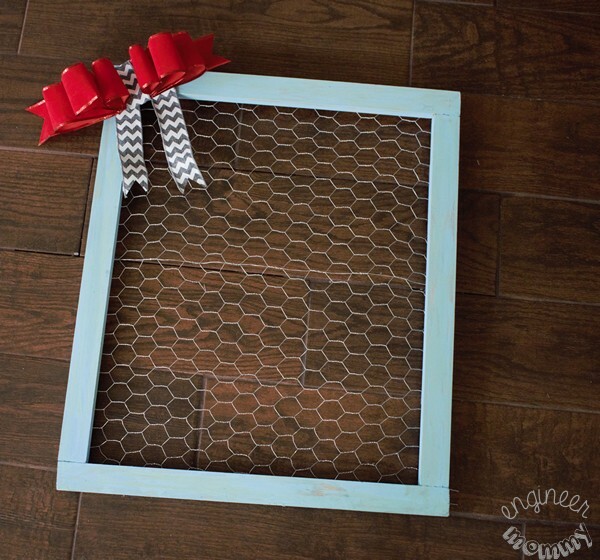 The chicken wire frame is so darn cute! You are very talented. 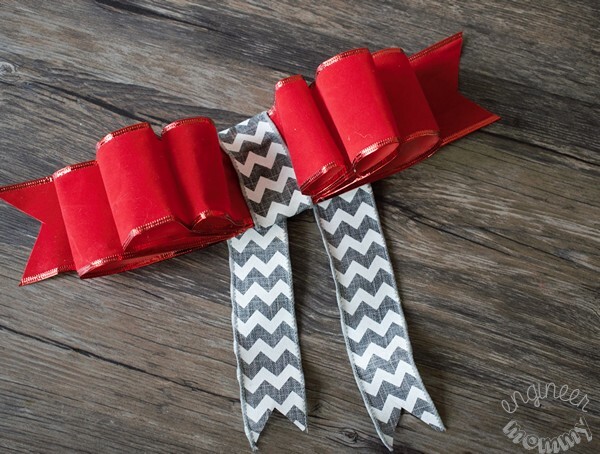 If my hubby has a staple gun, I’m going to try to make this! My dad loves lottery tickets and this is a nice way to give him a gift of lottery tickets. 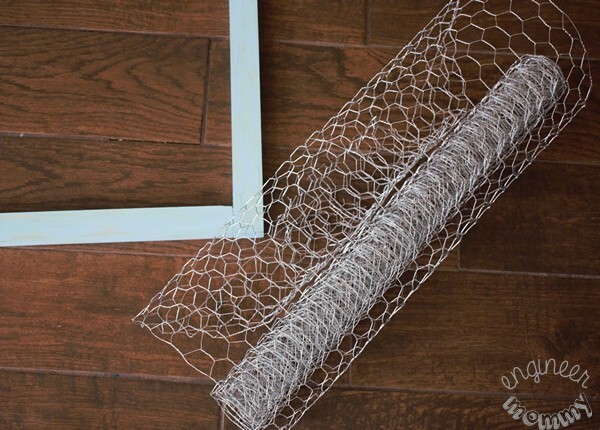 That DIY chicken wire frame is so creative! What a great way to display those New Jersey lottery tickets. I like DIY projects just do not have much time to do them but I do like seeing what others come up with. I love this idea. It looks so cute and would be great with my decor. I will have to get the supplies I need to make one this weekend. Okay this is SUCH a fun idea! 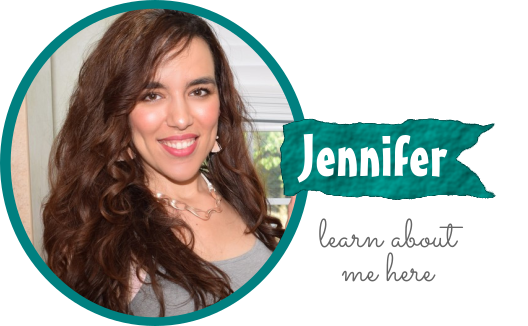 I love how it came out – it looks great and I cannot believe you made it yourself! I’d love to try it out one day! This was such a cool idea! I love the bow! I think your Christmas event should be fun! Wow! 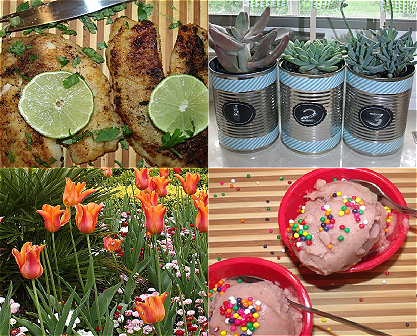 I never though of using the chicken wire for this kind of DIY project would look so nice. I guess I would try to copy this idea. I love the way you put the lottery tickets. Love the wire frame you made. Looks easy enough to put together. I even have the chicken wire already around the house. Perfect! So you’re ready to go with this project! What a fun gift idea! My brother in law would really love this and then I can see my sister turning it into a great place to display Christmas cards and photos. This is a fantastic idea! I would love to have something like this in the office for our Christmas party. That would be so exciting! This is a GREAT idea for an office party! This is a cool idea. 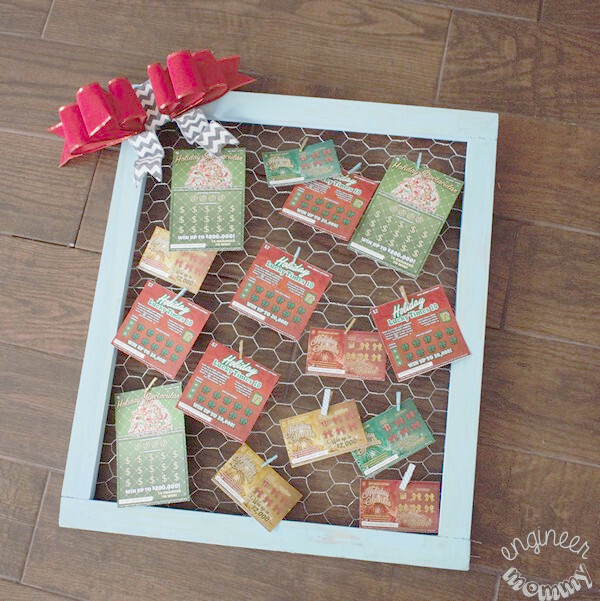 I will ask my husband to make a chicken wire frame and we’ll copy your idea to hang lottery tickets or scratch off cards. This is going to promise lots of fun for my family on Christmas. I do hope at we’d have at least one winner! Yes, having at least one winner is sure to make it a memorable Christmas!! I saw this on Twitter and had to come find out how to make this cute frame. LOVE the idea of putting lotttery tickets on it for guests. Very fun! So glad you came to check it out, Dianna!! Wow I love this. I usually just taped the cards we receive on the wall but this would be an awesome option. Think we’ll be making this frame in a square design for hanging Christmas cards, we don’t play lottery anymore. I never did but Mr.Furry used to often. With a pretty garland around it will make cards a pretty feature in l.r. Great idea to be use in other ways. Now if I can get Mr.to,make it for me. Think I have some cute clothes pins to fasten cards to wire. Our grandson is training, going to college, to be chemical engineer. He took furlough after his sophomore year in school to work in the field in Lexington, KY where he goes to school. He has full ride scholarship for 4 yrs.of college then has 2 yrs.scholarship to college in Louisville, KY for his Masters. As you can imagine we are so proud of him. He’s such a smart and great young man. This would be a neat gift idea for a lottery lover. It would be so neat to gift someone with a bunch of scratchers and watch their excitement as they scratch them. Imagine if they won. OMG! That would make a gift they’d never forget. What a fun idea! I love the frame and how cute it turned out. I know several people who would love something like this for Christmas. I have done this for probably over a year now,I like to use old wooden frames,and old windows,great for pictures,jewerly,notes&recipies,if you enjoy the rustic, country look this is perfect.,I actually have sold many.its a very different&unique item that not everyone else has.i would have loved to share pictures but don’t see anywhere to add them. Thanks, Christine!! So glad you’ve been using chicken wire too. 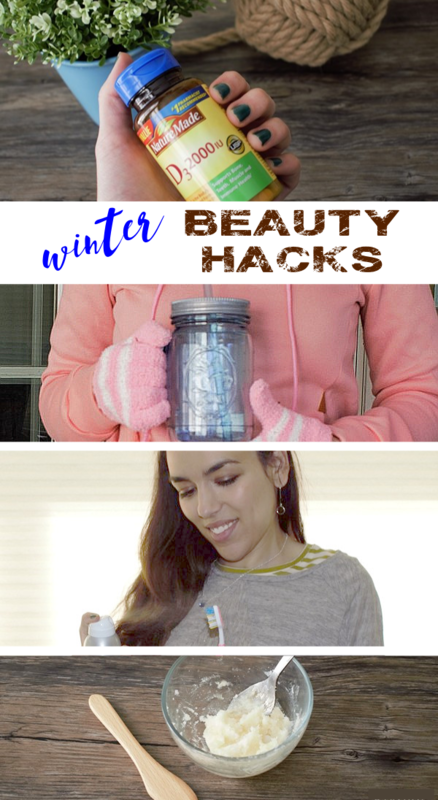 Its such a fun craft supply to use! If you want to share a picture of your project with me, feel free to post on Twitter or Instagram and tag me! Id love to see your work!! Happy weekend!